Could Peter Martins’s Departure Change How New York City Ballet Is Run? 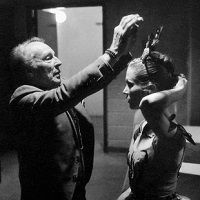 George Balanchine set up a uniquely concentrated model of artistic leadership at his company: he choreographed, taught, coached roles, and controlled artistic policy. Peter Martins continued that model (even if he ultimately delegated choreographing duties after his own efforts fell flat). Now that Martins has resigned, Alastair Macaulay wonders if it’s time to change that model and split Martins’s job.